The Demo.ZenService.Bproc.WeatherReport.TempScale class is an example of a general business rule. It is part of the Demo.ZenService.Prod.GetTheWeather production in the ENSDEMO namespace. The Demo.HL7.MsgRouter.XYZRoutingRule class is an example of a HL7 message routing business rule. It is part of the Demo.HL7.MsgRouter.Production production in the ENSDEMO namespace. /// Routing from the XYZ message source. 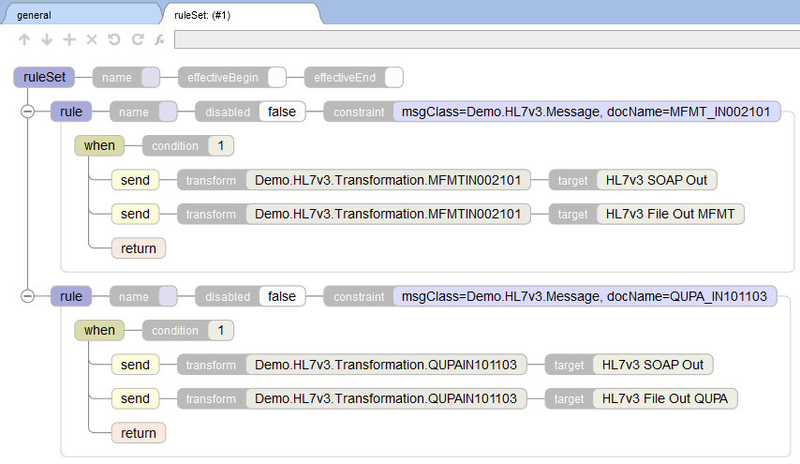 The Demo.HL7.MsgRouter.AlertRule class is an example of a general message routing business rule. It is part of the Demo.HL7.MsgRouter.Production production in the ENSDEMO namespace. /// See the AlertTable lookup table for a mapping of alert sources to email addresses. /// to the configured Recipient for the EMailAlertOperation. 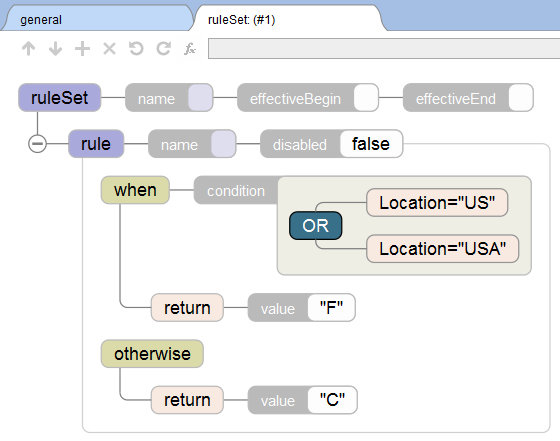 The Demo.HL7v3.Rule.RouteAndTransform class is an example of a virtual document message routing business rule. 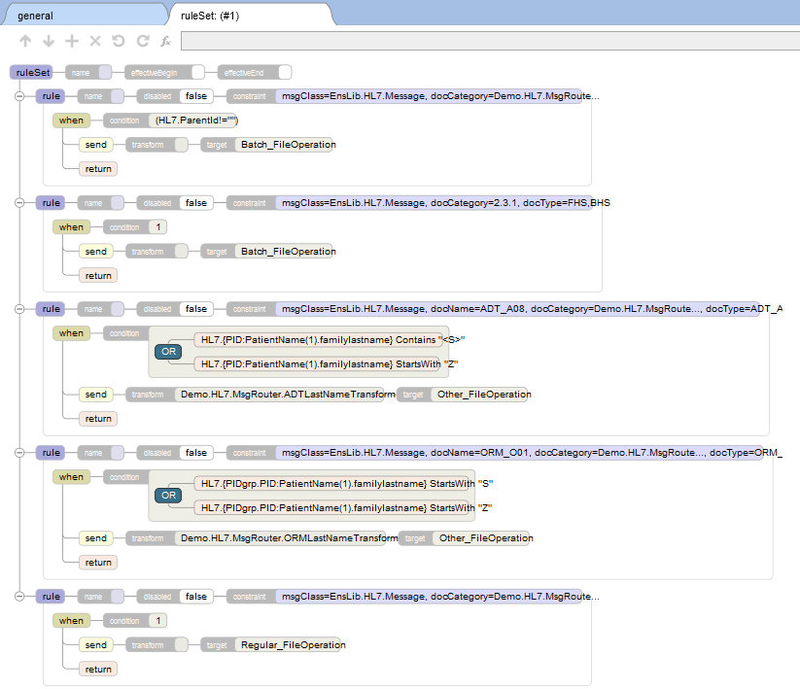 It is part of the Demo.HL7v3.Production.InterfaceEngine production in the ENSDEMO namespace.